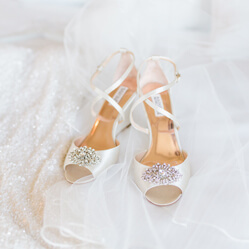 You'll never forget the day you strode down the aisle in your designer original. Wedding gowns are the real treasures, and deserve to be treated only with the best care. Before cleaning it, we check and treat all stains - inch by inch. We then apply different cleaning methods to preserve the glow, quality, and fabric of your gown. Once the dress is clean and fresh, if you chose to, we will carefully preserve it in an acid-free eco-box. 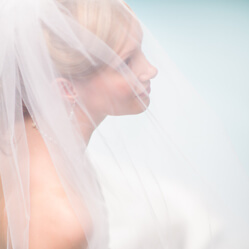 With the clear cover, you are able to see your gown at any time without having to touch it. But please remember our suggestion - once your dress is cleaned and boxed you must not store it in your loft. Drastic temperature changes may create moisture around the box causing the dress to oxidize. In order to help us obtain the best cleaning results, ensure that you have your dress cleaned within 2 months. Avoid spraying perfume directly onto your dress especially if it is silk as this may cause discoloring. Avoid trying to remove stains yourself. Spillages should be blotted with a neutral cloth and never rubbed. To ensure minimum damage to your train hook it up with loops provided. You want to look fabulous on your wedding day and we can help make sure you do! We provide a fitting service of your wedding gown. Our European seamstresses are capable of altering your dress to suit you. Please call us to arrange an appointment. Shoes that will be worn for the day. Underwear that will be worn for the day. Veils and tiaras will help with a visual. Once your dress is altered and you are totally happy with it, your dress will then be hand pressed and packed with acid free tissue complimentary.